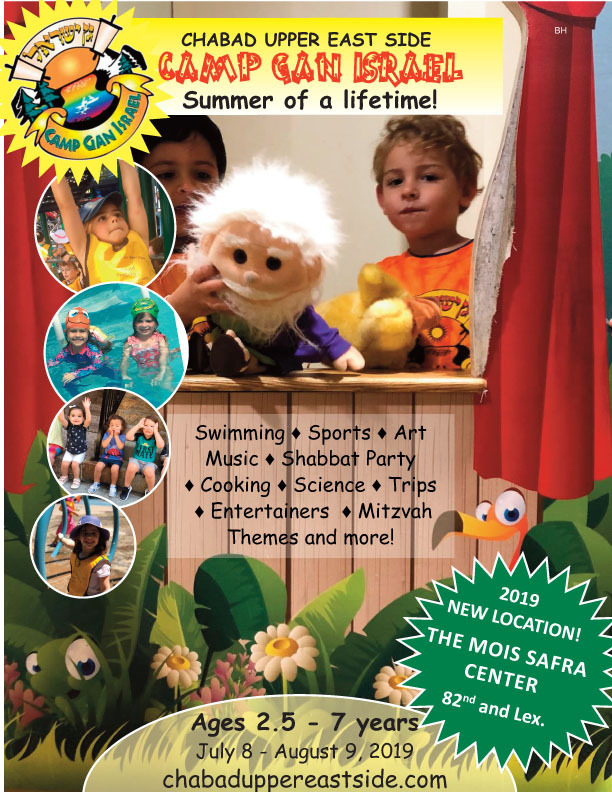 New Camp Location: Moise Safra Center - 130 East 82nd St. Thank you for your interest in Camp Gan Israel - Mini Division. Welcome to a brand new year of Mini Gan Izzy. This year we are so excited to be housed in the new beautiful Moise Safra Center at 130 East 82nd Street. Approval of application is pending review. If for some reason we cannot accommodate you we will refund your tuition paid. Please call the office with any questions at: 212.717.4613 x2. Looking forward to an amazing Summer 2019! Please note: Do to safety rules, swimming in the large pool will only be for children ages 4 and up. Younger children will go to the sprinklers and water activities. Please Note: Your child must be between the ages of 2.5 - 7 years old by June, 2019. We regret that we cannot accept children younger than that. If yes, please attach the conversion documents. Is your child currently attending school? Are there any issues with your child that we should be aware of? Is s/he currently receiving any services? If your child will not be attending a full session, please specify the weeks your child will be attending. Complete the following part only if you want to make a credit card payment today. Otherwise scroll down and click the submit button.